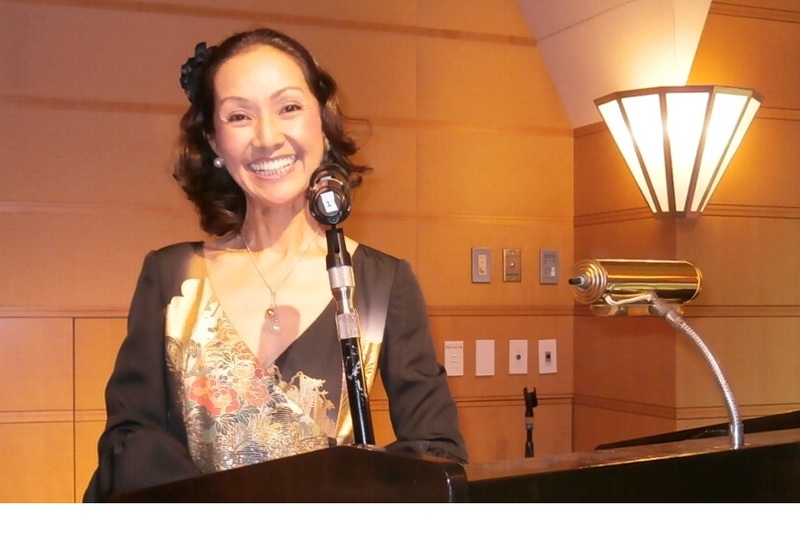 Mako and I joined the 20th Anniversaty Party of "Make a Wish of Japan" at the Tokyo American Club on October 26 2012. She moderate the party as a one of the volunteer. Make a wish Foundation is wellknown oraganization . They grant the wishes of children with life-threatening medical conditions to enrich the human experiecne with hope, strength and joy.-from website of Make A Wish Foundation. 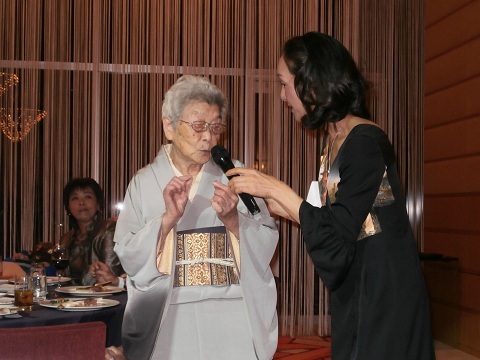 Mako was impressed the voluneer women 100 years old! She handmade little doll of pierot. Her passion comes form the smile of children she said. Mako's dress is made from KIMONO, traditional Japanese Dress. 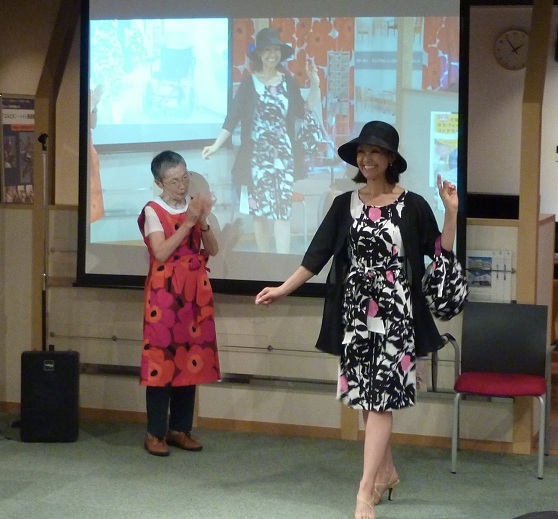 Ms.Akiko Takeda in Sendai City designed. She is making Universal Wear. Her Universal wear is designed for the people with disabilities and the elderly who has difficulties to put the clothe alone. It is easy to put on and put off by themself. And it is beautiful and easy to put on for everyone,too. Make A Wish of Japan kindly awarded Mako. 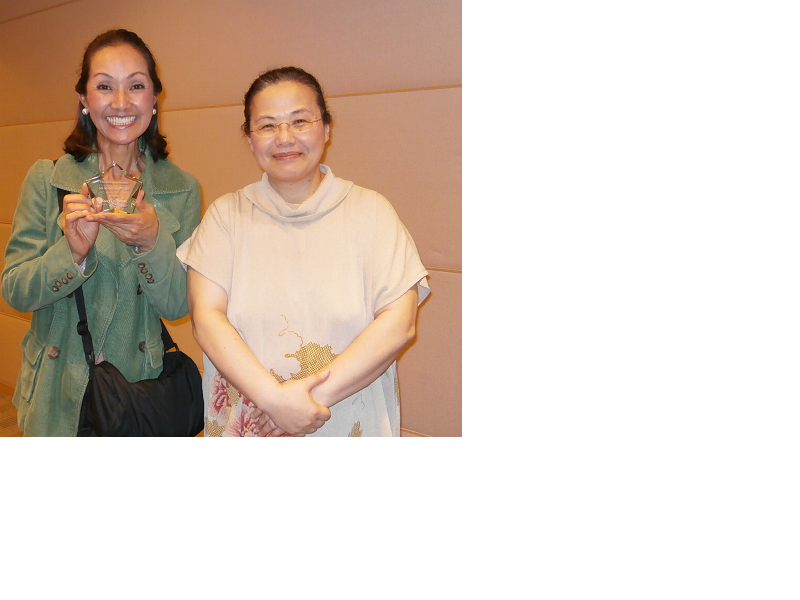 This is a Star from Make A Wish of Japan and me. Hello, I am Mako Hattori. Thank you very much for your visit to my blog "Aubergine". 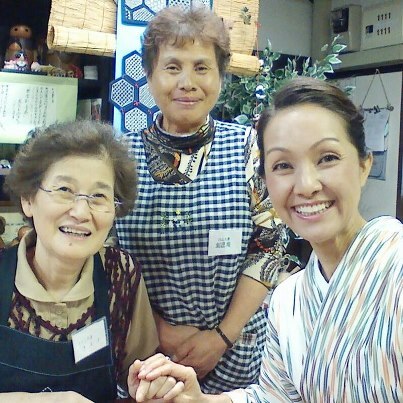 This blog will write by my friend Ms.Noriko Kondo, supporing this project with me. 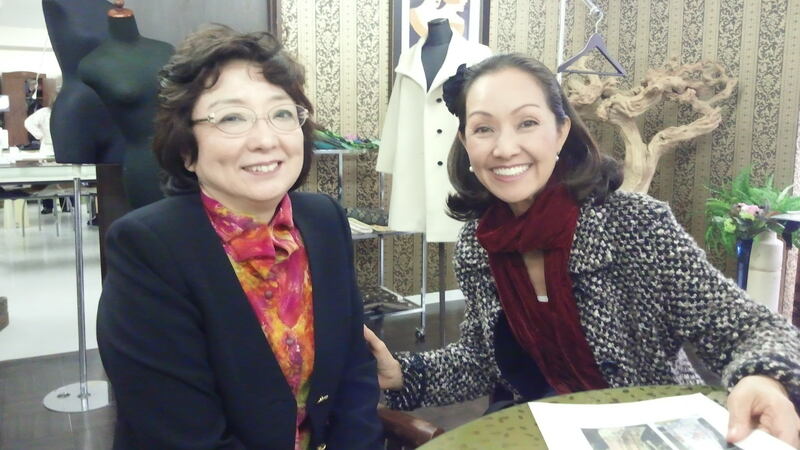 Ms.Kondo and I have been good frined over 30 years. 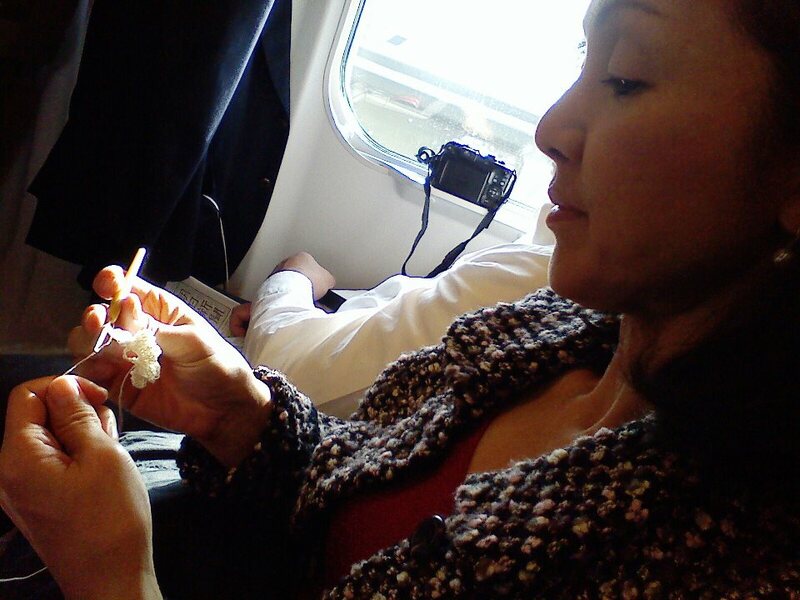 Her son and my daughter already grown up and they have left home. 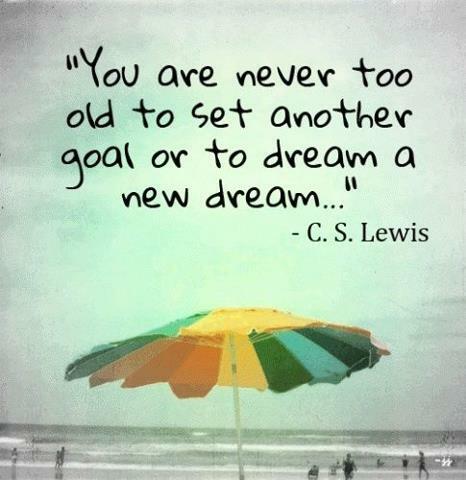 We decided to do something to support middle age women's dream to realize. It is not easy to make a dream all by herself. But using Internet, we will be albe to help each other, even we do not live near in the real life. I believe someone in the world will respond or support her idea and challege and work together to make it. I found a beautiful picture from Facebook site the word by Carl Lewis. Yes, We are alway great challengers!! Ladies. I wish your happiness and good health!